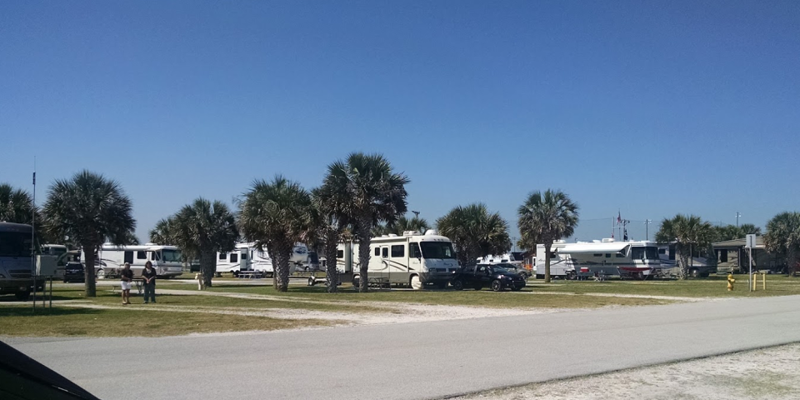 Pelican Roost RV park is a great little campground with large pull-thru sites with awesome views of the ocean… some sites are right on the waterfront. Interior road are paved and the sites are level. You can even watch ships as they travel in and out of the harbor right from your campsite. The staff is exceptional. they really make you feel welcome. You get a sense of community here. Saturday mornings they have pancake breakfasts, and weekly ice cream socials and cookouts. It gets windy here so secure your awning! Wifi is available and a great signal. Sorry… this is a military facility, so it’s open to military personnel only. Active, National Guard, Reservists, Retired, 100% DAV, NAF, Dependents, Guests, Active DOD Civilians (Retired DOD Civilians not allowed on base).